Three firefighters were killed and another three were injured as emergency services continued to tackle numerous wildland wildfires that have been devastating central and southern Chile. Around 130,000 hectares of forest and grassland have been burnt to the ground in some 46 wildfires raging between the regions of O'Higgins and Los Lagos. The Tracy Fire Department and Fire Chief Randall Bradley regrettably announce the loss of Fire Captain Daniel Havicus, a 17 year veteran with the department. Captain Havicus died after a brief and unexpected illness on January 18, 2017. There will be a memorial service on Thursday January 26, 2017 beginning at 1 pm located at the Gallo Center for the Arts (1000 I St. Modesto, CA 95354). In lieu of flowers, donations can be made to the Havicus Memorial Fund where proceeds will assist the family of Captain Havicus. A native of Roseburg, Oregon, Captain Havicus moved to Tracy and graduated from Tracy High school in 1993. 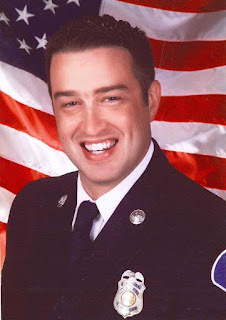 He then began pursuing his dream of becoming a firefighter attending San Joaquin Delta College earning a degree and graduating from the fire academy. Captain Havicus served the community of Tracy for 17 years. He was hired as a reserve firefighter in 1997 and then as a full time firefighter in 1999. He then promoted up the ranks to the position of Fire Captain. He also served regionally as a leader of firefighting resources assigned to significant fire incidents throughout the State of California. Captain Havicus was an active member of the Tracy Firefighters Association, Local #3355, holding several positions including union president. Most recently he protected the citizens from Fire Station 97 in the south part of the City of Tracy. Captain Havicus is survived by his wife, Courtney and his four children; Karlie, Jonathan “JJ”, Sage and Paisley. He also leaves behind his fire family where he was well respected and admired. Immediately following the service a reception will be held at the Modesto Doubletree Hotel (1150 9TH St, Modesto, CA 95353) Public service agencies are encouraged to attend (Class A attire). Please arrive at 12 noon to begin the staging process for the 1pm service. The community is also invited to attend. We respectfully ask that the family not be disturbed. For agencies that plan on attending the service and all questions, please contact Engineer Steve Major at 415-418-0973.